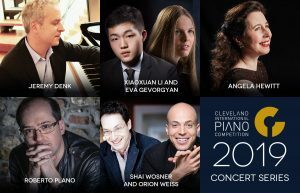 Every two years CIPC presents a diverse array of concerts throughout the year that “celebrate the art of piano.” Highlights from past concert series’ include the Cleveland debut of Martha Argerich with Sergei Babayan at Severance Hall, Juno Award Winner Marc-André Hamelin, and 2016 Gramophone Artist of the Year Daniil Trifonov. Last month, the artists for the 2019 Concert Series were announced and early access tickets for CIPC Community Members went on sale. This month marks the beginning of ticket sales for the general public! call 216.707.5397 Monday through Friday between 10:00 AM and 4:00 PM. Subscriptions and student tickets are available! Described as “the pianist with golden hands” by international media, Yaron Kohlberg is one of today’s top Israeli pianists. He has played in major halls in 40 countries spanning five continents and has won more than ten international prizes, including the second prize at the 2007 Cleveland International Piano Competition. Mr. Kohlberg has arrived in Cleveland after spending the last few years traveling around the world, performing in various concerts and presenting master classes and workshops. He was also a part of the highly successful piano duo, Duo Amal, where he teamed up with friend Bishara Haroni. Mr. Kohlberg, who speaks six languages, holds a graduate degree (with distinction) from the Buchmann-Mehta school of music of Tel Aviv University. In May a group of 22 bright, young pianists from across the globe made their way to Cleveland for the 2018 CIPC for Young Artists. Each contender had one goal in mind: take home the title of First Prize Winner. On June 9, following 11 days of spectacular performances, Xiaoxuan Li and Eva Gevorgyan accomplished that goal and the two were declared the First Prize Winners for the Senior and Junior divisions. Xiaoxuan was born in Zhejiang, China. He began playing the piano at age four, and in 2016 he was admitted to the Curtis Institute of Music. He has been awarded prizes at several international competitions, most notably First Prize in the 2018 CIPC for Young Artists Senior Division. Xiaoxuan has performed at many international music festivals, and appeared with the Hilton Head Symphony, Ashdod Orchestra, Salzburg Chamber Soloists, and Macao Orchestra. Eva has won prizes at more than 40 international competitions for piano and composition in Germany, Italy, Spain, Portugal, Estonia, Malta, Kazakhstan, Poland, Czech Republic, Georgia, Russia, Serbia, and now the United States. She was invited to the International Piano Academy Lake Como where she participated in master classes. 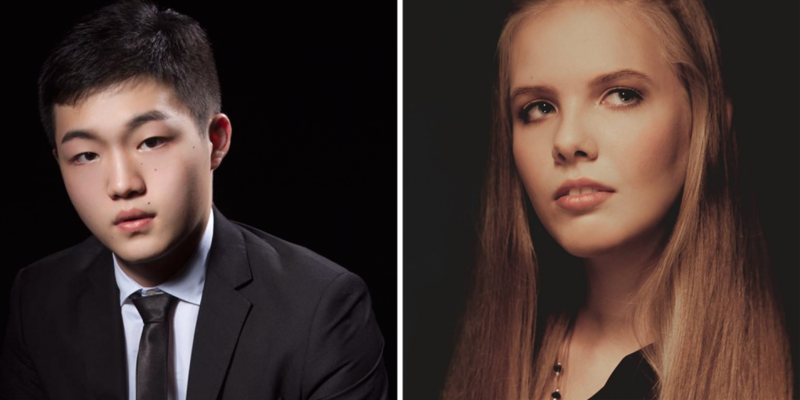 Eva has performed in front of the President of Italy and has taken part in a national television show for young talent, advancing to the final round as the only pianist. We truly depend on the support of the entire CIPC community to present all these major undertakings. Please consider a gift to the CIPC Community Fund as an investment in future artistic endeavors!